As the year is winding down, it’s helpful to have a look ahead at January, a pivotal jumping off point for 2018. In chaotic times like these, having foresight about societal and energy cycles can be both comforting and an essential tool for spiritual transformation. Continue reading for highlights of energies unfolding and what they mean. Many things are not as they appear. Consider that some of the challenges and craziness may be divinely orchestrated to catalyze mega shifts and awakening. Factor in the potential of blessings in even the direst circumstances. You have more options than you realize as you’re preparing for next year. Knowing that, make your intentions and plans with a quantum mindset that factors in the unexpected and wonderful you cannot yet see. 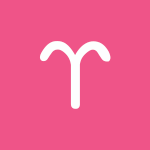 Today’s energies are primarily peaceful, dear Aries, and you’re in a good position to slow down and enjoy the moment. Mind you, this morning you could be battling a bit of restlessness or indecision, as part of you might feel you should be more involved than you are. Priorities may be hard to decide upon, but if you examine things carefully, you’ll get to the right decision. Excess spending or borrowing can be an issue now. Take steps to wind down, which gets easier and, in fact, quite natural as the day advances. This is a great day for taking some extra “me time” and pampering yourself, dear Taurus. While this morning’s energies tend to find you a little restless, it’s best to avoid the temptation to overdo or overindulge. Others’ demands on you may feel a little excessive. Or, you may be attempting to please someone and at the same time striving for independence. However, you’d do yourself the biggest favor by pacing yourself. Excess has a price even if the payment is deferred. You’re better off keeping things even and smooth now so that you don’t start off at a disadvantage tomorrow. 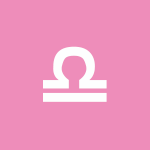 The day is best used to unwind, take things easy, and release tension, dear Gemini. The Moon continues to spend time in the sign just behind yours, pointing to a need for reflection and a bit of anonymity before busier days ahead. This morning, a dichotomy or difficult choice can lead you to consider imbalances in your life. Something has to give in order to balance your life better, particularly when it comes to working and resting, or tending to physical needs and tending to emotional/mental needs. Today also holds the potential for better understanding a complex relationship or your own complicated feelings, once you get past the early morning restlessness. 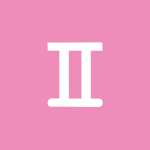 The Moon spends the day in your sector of dreams, hopes, happiness, and friendship, dear Cancer, and is void most of the regular waking hours, pointing to a real need — or excuse — to unwind and treat yourself to light activities. It’s not an ambitious time today, and it’s best to treat the day as a time for catching your breath. A Full Moon will occur in your sign in just three days, and in fact, will happen on the first day of the new year, and personal epiphanies are likely to be significant. For now, give yourself a break! Relationships also deserve a light touch. The day’s energies encourage and reward simplicity, dear Leo. Even so, early today can find your undecided or restless. 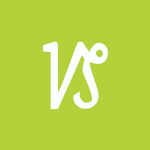 While the Moon at the top of your chart usually keeps you on your toes, the Moon is void for most of the day’s regular waking hours, and taking it easy makes the most sense now. You can nevertheless muse about your goals and keep your responsibilities in mind, but avoid pushing yourself or projects that could have a rough time of it if you went ahead with them. You’ll be in the best shape if you take time to relax and center yourself now and pursue your ambitions later. 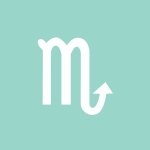 The Moon spends the day in your sector of spirit and in harmony with your sign, dear Virgo. It’s also void for much of the day, giving you the license to enjoy yourself without pressure or guilt. The trick will be allowing yourself to take this time! As well, this morning could find you a little tense or in a situation of “too much information.” Too many choices can be overwhelming. You have a bigger than usual appetite for taking on new interests or developing existing ones, but the temptation may be to go overboard with this. Try to focus on releasing tension now. Give yourself a break today. It can be a little too easy to overdo spending or other indulgences now, dear Libra, but as the day moves forward, you’re in a great position to simplify. In truth, if you want to treat yourself, streamlining is the route to take – it comes with less guilt and consequences. As well, focusing on your inner goals and values will do much more for your happiness than too much focus on external signs of success. The Moon spends another day in your intimacy sector, and you’re inclined to embrace your deeper feelings rather than push them to the side. It’s an excellent time to enjoy family or home life, or domestic activities, as well. Mars and Jupiter are both in your sign, dear Scorpio, and they’re heading towards an alignment that will be exact on January 6th. Even though it’s more than a week away, these planets are very close to one another now, and there can be a building sense of excitement and enterprise as you end the year and begin a new one. You can feel increasingly motivated to do something special, and you have all the courage and resourcefulness to make your mark. Pay particular attention to your urges and hunches as you can be heading towards great things. Today, the Moon is in your opposing sign, however, and is void most of the day, suggesting it’s best not to push yourself, anyone, or anything. Let your imagination go. 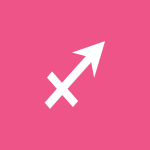 Today’s energies are easygoing as long as you keep things simple, dear Sagittarius. If you try to push things, however, you can feel the resistance! Early today, you may be doing battle with yourself. There’s the part of you that just wants to tuck yourself away and the other part that is super motivated to shine in your routines, work, or daily affairs. Seek out a balance for best results now. Today doesn’t support ambitious or bold moves, so aim to take it easy and go with the flow. Conserve your energy for opportunity periods. The Moon spends the day in harmony with your sign, dear Capricorn, and this tends to make things easy for you. Even so, there is a stubborn quality to the day’s energies, and if you’re feeling raring to go and ready for action, you may very well meet some resistance. It may be best to enjoy some release of ambitions, tension, or pressure, and take things easy now. The trick is to allow yourself the luxury! Brand new endeavors are more likely to face obstacles, anyhow, and you’re likely to benefit from a slower, reasonable pace. The Moon spends another day at the bottom of your solar chart, dear Aquarius, encouraging you to take it easy. This morning, the Moon does brief battle with Jupiter at the top of your chart, and Jupiter is motivating you to grow, improve, and perform. As big as a draw this may be, you’re unlikely to get very far today with the Moon’s void that spans most of the regular waking hours. The energies of the day reward the easygoing, and it’s a good idea to honor your need to wind down and play it safe just for now. 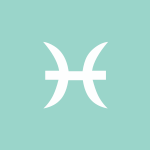 You have both Mars and Jupiter in your solar eleventh house motivating and exciting you about new projects, initiatives, causes, and social events or friendships these days, dear Pisces. As they move closer to alignment this week and next, your enterprising side is alive and well. You may be on the verge of a brand new and innovative endeavor. Today, however, is better for rest and comforting, emotionally centering activities, even if you need to enforce this frame of mind. You could benefit from a break to get your bearings, and you’ll be happy you took it! Highly intelligent, you are able to work both sides of the brain well, with intuition as well as logic strong. You are a very likable person with good people skills, not only for the sake of charming them, but because you truly are interested in what makes people tick. You are partnership-oriented, drawn to close relationships more than most. Even so, your partnerships are not always traditional, and not always easy, either! You accept a lot from the people you love. Famous people born today: Mary Tyler Moore, Jude Law, Marianne Faithfull, Ted Danson, Jon Voight, Paula Poundstone, Pablo Casals, Alison Brie. Saturn transits your Sun this year from March 2018 forward, and this is stabilizing, although at times demanding. You are practical in your choices (for the most part), keeping your feet on the ground and honoring tradition as well as tried-and-true methods. You have the power of practicality, realism, and caution on your side. Work you have done in the past begins to pay off this year–not necessarily in dramatic ways, but in small, measurable ways. You may be recognized or rewarded in some way for the efforts you put forth. Because you project a more responsible and credible “you,” people in authority are more inclined to appreciate you and recognize your work. This is a year in which you put your life in order in some significant manner. Improved concentration, a more realistic outlook, and a practical awareness of the limits of time all help you to make steady progress, particularly in your career. Your concern for your future this year is stronger than usual, and you may find that projects you start, or investments you make, will benefit you for years to come. One of the keys to success this year is adopting a realistic, practical, disciplined, and orderly approach to your life. The need to “get serious” about areas of your life where you’ve been slacking is likely now as Saturn passes over your Sun this year. New responsibilities are likely to present themselves this year, or you are likely to take them more seriously. Gone are the “rose-colored glasses.” You are required to put in the effort to clean up areas of your life that need some order. With your ability to accurately assess your life, you can make real headway. The kind of progress you make now may not seem significant for the time being, but you will look back on this period of your life as one in which you truly made REAL progress towards your goals. Relationships may be stabilized and steady this year, or there can be a new sense of realism in existing partnerships. A sense of duty may lead you to sacrifice a personal pleasure for a cause or for a loved one; thus there could be times when you have to abstain from personal gratification for the time being. Financial discipline, realism, and maturity are possible during this period of your life. You are more conservative when it comes to spending, whether this is because circumstances are such that you need to penny pinch, or you are simply more realistic about your finances. Renewed ties to old friends are possible, or you could enjoy a new sense of responsibility in existing friendships. Err on the side of caution if offers arrive that seem too good to be true. Some confusion or possibly deception could arise in communications this year, and you may be skipping important details without even realizing it. You have great enterprising spirit this year, attracting strong opportunities on both professional and personal levels. You are able to see the “big picture”, which helps you to plan effectively. You have significantly more courage and gumption, making the year ahead a standout one in which you are ready to try new things and take on challenges. This is a powerful year for getting your life in order in significant ways. It’s also strong for enterprising endeavors. You’re in good shape for staying on track and meeting your responsibilities, but also for balancing your time between work and play. This is a standout period for a more mature approach to finances or relationships. You’ll find others more cooperative than usual, and you’re pouring more energy into making things work. 2017 is a Number Six year for you. Ruled by Venus. This is a year of relative contentment. It’s a time when love is the easiest to attract, and partnerships formed under this vibration have a better chance for longevity. You are especially able to attract others–and material things as well–this year. This is a good year for establishing harmony in the family and the home. Advice – develop existing relationships, be positive and receptive because these kinds of energies help you to attract what you desire. 2018 will be a Number Seven year for you. Ruled by Neptune. This is a year of preparation, chance, and refinement. It is not a time of dramatic changes. Instead, it’s a year when reflection on the past is helpful, and when refinements to your life path should be made. It’s a good year to study, observe, research, and analyze. Unexpected twists to your life story and “chance” meetings are probable. Advice – take stock of your life in order to prepare for more exciting years to come, examine the past and plan for the future, get in touch with your deepest needs and uncover your personal power, don’t strain yourself or actively try to expand. 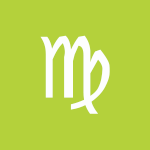 This can be a mentally active day, and at times, a restless one, dear Aries. It’s perhaps busier than you’d like, but also a great time for creative ideas and warm, hopeful conversations. There may be part of you that’s protesting your tendency to jump ahead with a new project or idea, as there are plenty of current things to do first before you take on more. Jupiter in your solar eighth house this year is helping you focus, in general, but today you can find it hard to make a choice. This is a potent period for conversations with children or friends and lovers, as you’re communicating your affection naturally, honestly, and with excellent results. 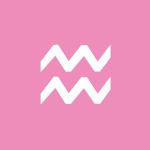 The Moon moves out of your sign and onward, dear Taurus, and you’re likely to feel less pressure to push forward and more inclination to settle in, get comfortable, and enjoy yourself as the year draws to a close. The Moon is in your solar second house, and the experience of this house is very relatable (it’s the natural house of Taurus). The second house rules money, personal possessions, and those things you consider valuable, including your feelings about yourself, your talents, and what you have to offer. It’s a good time to do an “inventory” of what you have going for you as it helps to check in this way from time to time and remind yourself of all that you already have. You may feel a little divided between spending time with others or throwing yourself into a solo endeavor, but as the day advances, you’re in excellent shape for stimulating, warm, and open conversation. The Moon enters your sign today, dear Gemini, and this influence can feel as if you’re coming out of hiding or that your feelings are blossoming. You may also awaken to the need to connect with others or to feel more emotionally connected to the world around you. It’s a period for getting noticed, and you’ll be saying goodbye to 2017 (and hello to 2018) with the Moon in Gemini. Today brings hopeful and positive energy to your outlook, particularly through conversation with a special person or significant other in your life. This morning, you may be feeling a little divided between wanting to pour your energy or attention into a solo endeavor and sharing time with someone special, but as the day advances, you’re likely to grow increasingly more focused on connecting, communicating, and enjoying the natural flow of conversation. It’s a great time to reach out, support, and accept help, as well. The Moon enters your privacy sector today, dear Cancer, and will transit this rather hidden area of your solar chart until early on the first of January. The first day of 2018 features a Full Moon in your sign and big personal epiphanies, but for now, you’re inclined to lay low and keep to yourself or simply keep a low profile — and it’s precisely what you need in this stage of the lunar cycle! Use this time for getting to know your feelings and needs more intimately. Healing and replenishing activities are most appropriate now, and you tend to find them quite easily, although this morning, you may struggle a little with feeling content whatever you choose. Perhaps you feel if you do one thing, you’re missing out on something better. However, as the day advances, you grow more focused and comfortable. This can be a fertile time for money, business, work, or health ideas and methods. 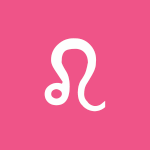 The Moon moves into your sector of friends, groups, dreams, community, and hopes, dear Leo, and you’re seeking out a connection to something bigger than yourself today. This brief transit continues until the New Year begins, and you’re ending the year in a rather sociable frame of mind. It’s a good time to let go of worries and concerns and instead focus on making connections as well as plans for achieving your happiness goals. 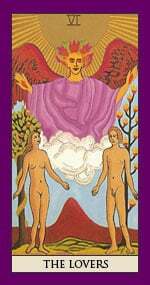 While you can feel a little torn between sticking with what you know and going out on a limb this morning, as the day advances, you’re ready to express your feelings, affections, and creativity. This is, in fact, a fabulous time for showing love and receiving it in kind. 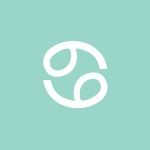 You’re ending the year with more clarity, dear Virgo, and while you can feel a little restless or divided this morning, you’re in great shape for catching up with someone, the news, or a special interest today. Conversations can be heartwarming. The Moon climbs to the top of your solar chart and will stay here through to the end of 2017. It’s a powerful time for thinking up long-term goals or reconsidering ways to achieve current ones. It’s also a good time for willingly making adjustments on a mental level rather than stubbornly sticking with outdated methods or ideas. The Moon moves into harmony with your sign today, dear Libra, and you’re likely to feel more spirited and liberated. This transit is brief, but takes you to the end of 2017! You’re in a good frame of mind and feeling quite hopeful about what’s ahead of you. The Moon will reach the top of your solar chart just after you begin the New Year, making it quite ideal to survey your longer-term goals and form some resolutions. For now, you’re in particularly good shape for communicating, connecting, and friendship, and you’ll enjoy some time spent freer of worries about your responsibilities. The Moon moves into your intimacy sector early today, dear Scorpio, and this brief transit takes you to the end of the year. The Moon will move into harmony with your sign on New Year’s Day, and you’ll feel a little freer and ready for action then. For now, you’re in a great position to get into deeper touch with your desires, needs, and wants, and some year-end introspection can do you a world of good. 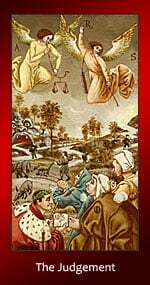 Today is also suitable for giving particular thought to money, work, health, and habits, and for making plans to better take care of these areas of your life. Your mind is fertile and resourceful now. The Moon moves into opposition with your sign early today, dear Sagittarius, and while this might sound like a contrary position, it has some distinct benefits. For one, it puts you in the position to enjoy a new perspective on your life, whether this happens naturally or through the eyes of someone close to you. For another, it’s a good time to release some pressure or focus on personal plans and redirect more of your energy into your relationships. Energy levels may not be excellent at this time. This morning, you can be filled with ideas but not sure what to do with them. As the day moves forward, though, you find natural outlets for communicating your ideas and expressing yourself. It’s an excellent time to pursue a personal interest. The Moon moves into your work and health sector today, dear Capricorn, and this transit will remain until the end of the year. The New Year is fast approaching and will begin with a Full Moon and a heavy emphasis on relationships, particularly of the one-on-one variety, for you. However, today and tomorrow are good for clearing up various chores and tasks as you’re inclined to want to straighten things out and take care of details now. Even with this practical focus, as the day advances, you’re in particularly good shape for work behind the scenes, research, or conversations about private matters that feel especially natural and lead to healing. The Moon moves into harmony with your sign today, dear Aquarius, and this transit will take you to the end of 2017. You’re in a playful, lighthearted, expressive mood, and plenty of opportunities are likely to emerge for entertainment, leisure time, and play. 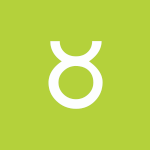 A Mercury-Ceres aspect helps communications even further as you’re getting your message across warmly and personably. There can be some tendency to take on a little too much this morning, but as the day pushes forward, it’s easy to go with the flow and enjoy yourself as you do. The New Year is likely to begin with a call to action, but for now, you’re ready to unwind. The Moon moves to the bottom of your solar chart early today, dear Pisces, and it will stay there through to the end of 2017. It’s a very comfortable place to be, as long as you’re in the mood to lay low, relax, and enjoy familiar faces and places. You’ll begin the New Year with the Moon entering your house of play, romance, and entertainment and a Full Moon celebration vibe to boot. However, until then, you have excellent support for winding down and getting in touch with your needs, wants, and feelings. Do you have a pretty kitty or a downright fat cat? Trust us, the cosmos affect your kitties’ personalities and moods just as much as they affects ours. Look to your cat’s zodiac sign for clues to why your little beastie might be a lover … or a biter. Areas of Influence: Eirene was the Greek peace Goddess. She is also the patroness of wealth and prosperity. This is because in times of peace people have the opportunity to plough the fields and make and sell, goods and services. War only breeds famine and destruction. Her name can also be spelled Irene and Irini. Hesiod uses the epithet Hora Thallo which means “green shoot” to describe her. This links her to the springtime, when military campaigns were often planned and her calming nature was most needed. She was one of the three Horae who are the maintainers of law and order that a stable society depends upon. They were also the Goddesses of the seasons and the natural divisions of time. 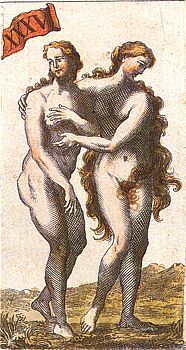 In the lliad the Horae are also described as the guardians of the gates to Olympus. For this reason she is also considered a Goddess of entrance ways. Origins and Genealogy The Greek Goddess of peace was the daughter of Zeus and Themis. 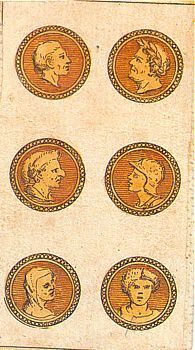 She had two sisters Eunomia (order) and Dike (Justice) who were other two members of the Horae. Strengths: A peacemaker and an excellent balance to the other Greek Gods and Goddesses whose infidelities and jealousy often caused war and disagreements. Weaknesses: As a personification of peace and wealth she has no other distinctive personality traits. Symbolism: Often shown as a young woman holding an olive branch or Hermes’s staff. She wore ears of corn that represented wealth and prosperity. In one statue by Kephisodotos she is shown holding the infant Ploutus (Wealth). 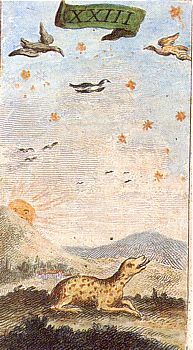 Sacred Animal/Bird/Plant: Corn and the olive tree. The Diplomat Archetype is able to mediate between different groups, as they are able to quickly assess the situation, understanding both sides point of view. Helping them to find a middle ground upon which they can both agree. The Shadow Diplomat manipulates both sides to achieve their own personal agenda. This is the most fitting Archetype for the Greek Peace Goddess as it is through successful diplomacy that conflicts can be resolved and wars averted. 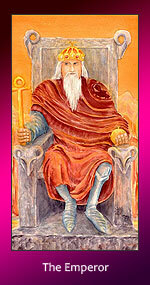 To have the Diplomat as one of you main archetypes you do not have to be a diplomat by profession. However you must have a life-long commitment to resolving disputes and bringing people together. This can often occur within families where one member of the family is constantly trying to keep the peace and the family together. Check you are not stepping into this Archetype’s shadow by asking yourself if it is you who will benefit most from the outcome you are steering the different sides towards? See how many ways you could add a little loving enchantment into your life and the lives of your loved ones. 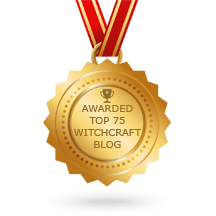 If you wish to explore the topic of love and romance witchery even further, then check out my book How to Enchant a Man: Spells to Bewitch, Bedazzle &Beguile. If cat magick has tickled your fancy, then for further study read my book The Enchanted Cat: Feline Fascinations, Spells & Magick. Plant: apple, birch, cherry, clematis, clove, coriander, heather, hemlock, hibiscus, ivy, lotus, moss, myrtle, oats, pepperwort, peppermint, pinecone, quince, raspberry, rose, pink rose, red rose, rose hips, saffron, sage, savin, stephanotis, strawberry, thyme, vanilla, verbena, violet, water lily, yarrow, and all flowers. Working a little flower magic to enchant a single pink rose for friendship and inner beauty, and setting it on your desk. Or try empowering a red rose for passion and placing it in your bedroom. Magickal intentions: Love, romance, marriage, sexual matters, physical beauty, friendship and partnerships, strangers and heart matters. That is what you call feeding the Lodestone. Then fold the sock heel on the toe and roll it all up together, tight. Pin the bundle by crossing two needles. Then wet it with whiskey and set it control. Household Symbols: A sea shell, a fountain, fresh flowers, your wedding ring or wedding photo, red or pink paper hearts, apples and cherries. 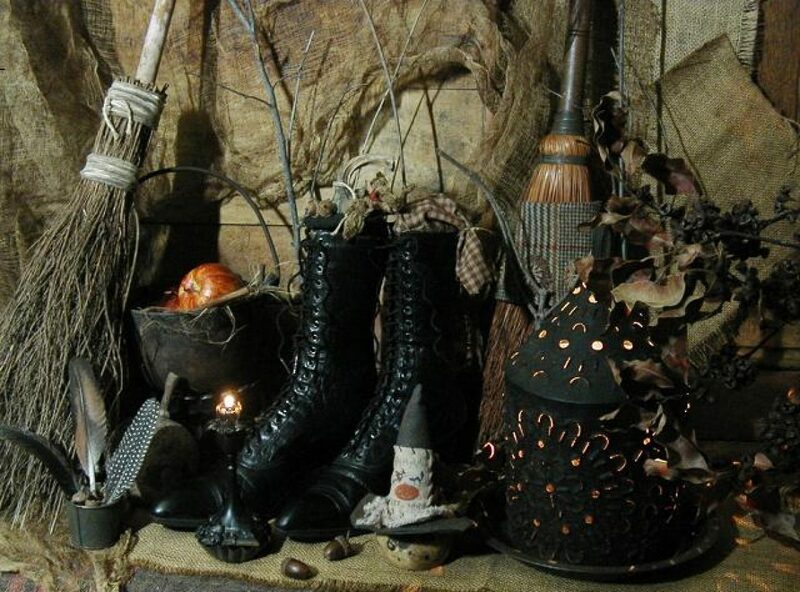 I just love my Magickal Necessities. I buy all my magickal needs there and get a doggy bone to boot, can’t beat that! Jacob has gotten in a new line of cool men’s jewelry. Rings, Celtic honor rings, Manly man pendants and lots more. Why I even got a new pendant for my collar. Stop by check it out. Good Friday Morning Fellow Pagans, Witches, Wiccans & Visitors Alike!